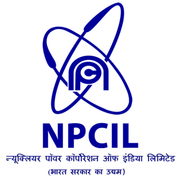 NPCIL Recruitment 2019 - Apply Online for 57 Trade Apprentices Posts in Department of Atomic Energy, NPCIL, Tirunelveli, Tamil Nadu on Apprenticeship. Online Applications are invited by Nuclear Power Corporation of India Ltd. (NPCIL) from 07 Feb 2019 to 28 Feb 2019 for 57 vacancies. Expansion should not be less than 3.8. cms (Irrespective of a size of a chest). There should be no evidence of any morbid condition of either eye and the lids of either eye which may be liable to risk or aggravation or recurrence. a) 90 % of the minimum wage of semi-skilled (around ₹13000 per month) workers notified by the Govt. of Tamilnadu if he/she had undergone 2 years ITI Training course. Eligible candidates may apply online at NPCIL's website (direct link is given below) from 07 Feb 2019 to 28 Feb 2019. Candidates log on to http://www.npcil.nic.in/content/289_1_Opportunities.aspx. The duly filled in application form affixing your passport size photograph on the space provided along with of all supporting documents may be sent to the following address: Manager (HRM), HRM Section, Kudankulam Nuclear Power Project, Kudankulam PO, Radhapuram Taluk, Tirunelveli District - 627106. 1) Educational qualification (10th, 12th Mark Sheet as may be applicable). 2) ITI Certificate and Mark Sheet. 3) Other qualification/ Experience Certificates, if any. 4) Conduct Certificate from Two Gazetted Officers or from concerned Institution. 5) Community certificates of those belonging to SC/ OBC. 6) Landloser Certificate (if applicable). 7) PWD Certificate (if applicable). 9) Employment Exchange Registration Card. 10) Recent passport size photograph.